Yum! These are way better than the microwave ones. Instead of microwaving pizza rolls for your kids and their friends to snack on after school, you could give their study session a homemade upgrade by whipping up pepperoni pizza rolls made from scratch. It’s actually easier than you’d imagine to pull this off, and the recipe from Sally’s Baking Addiction even details how you can make your own pizza dough from scratch — but we won’t tell if you’d rather go the store-bought route to save yourself a little bit of time when making pizza rolls at home. 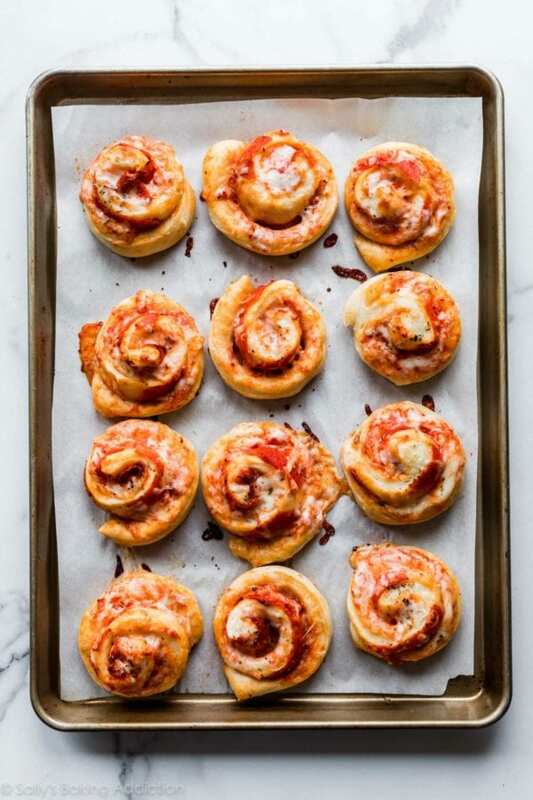 Either way, you’ll create adorable little pizza pinwheels that are full of cheese and your favorite pizza toppings. Plus, they’ll taste way more gourmet than the version you can find on your freezer aisle. Cut your dough in half and roll each half out into a rectangle. Brush the tops with olive oil and get ready to go in with the toppings! Start with pizza sauce and then add the cheese, pepperoni slices, and any other additions your family will enjoy. Then roll the rectangle into a log and and chill the log until firm enough to slice without falling apart. Yes, this is very similar to making cinnamon rolls or slice and bake cookies, people — but this time, it’s with pizza. Yum! If you’d rather skip the slice-and-bake portion of this recipe, there’s a version from Two Peas & Their Pod that details how to make them in more of a garlic roll shape. Again, you can use store-bought or homemade dough. However, this time, instead of rolling the ingredients into a log and slicing, you’ll create little pockets filled with cheese and toppings before forming them into a ball shape. Of course, you can skip the pepperoni in both recipes if you’re vegetarian, and you can add other “fillings” as well. Both of these recipes look as easy as they are hearty and filling. 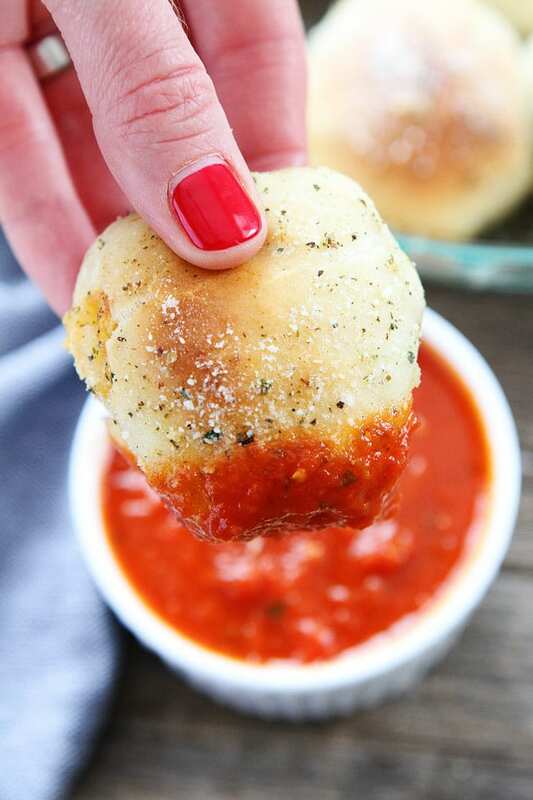 Anyone else craving homemade pizza rolls all of a sudden?